Doctors Center at Red Rock always appreciates feedback from our valued patients. To date, we’re thrilled to have collected 102 reviews with an average rating of 4.88 out of 5 stars. 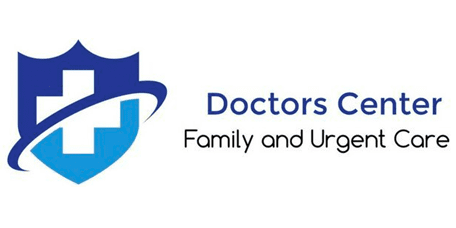 Please read what others are saying about Doctors Center at Red Rock below, and as always, we would love to collect your feedback. It is always a pleasure seeing not only the doctor, but the entire staff as well. Everyone is always so pleasant and welcoming. Wait times are never very long, and I receive excellent care here. Dr C was friendly, helpful, and I'm excited to have him as my new PCP. I knocked 1 star off for an unfriendly desk staff and waiting over an hour after my scheduled appointment time. Diagnosed what the ER missed in a matter of minutes. Great doctor with lots of compassion. New to NV. Needed refills on my medication & was able to make appt for next day. All meds refilled. Staff was rxcellent--friendly, professional, very helpful. I found my nrw PCP!! Friendly staff, Dr. Capobianco is easy to talk to, quick visit in and out. Office staff is very cordial. Natalie (PA) was professional, courteous, and genuinely concerned with my health. I didn't feel rushed while going over my health history like I have with other doctors. Doctors are great. Staff is newer so some information given is incorrect. The staff was friendly and great. I got an appointment same day and got my concerns answered. Always have a great experience with Dr Lamprecht. He’s the only doctor who believe me when I tore my knee. The urgent care doctor didn’t even touch me and he said I was fine. I couldn’t even walk I was in so much pain. If I had a choice Dr Lamprecht would be my PC. Thanks doc. Happy holidays! Terri E.
Dr. Scott is amazing ! Always makes me feel like it’s a home visit . Dr. Capobianco is one of the best in his field. He is kind and classy and treats me like a person. Minimum delay as new patient with paperwork. Came in with laundry list of problems. Addressed each individually and never rushed me.